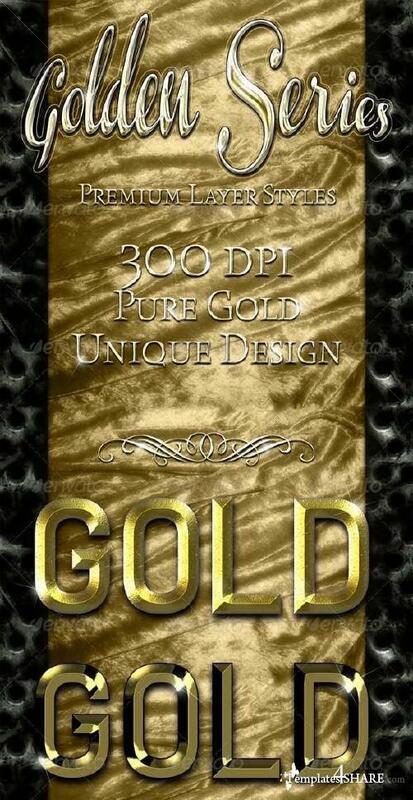 15 premium layer styles and pure gold for your next graphic project! The styles are designed with 300 dpi resolution and are 100% scaleable. You can use them for typography, vector shapes and buttons, icons and headlines for flyer and poster artwork.